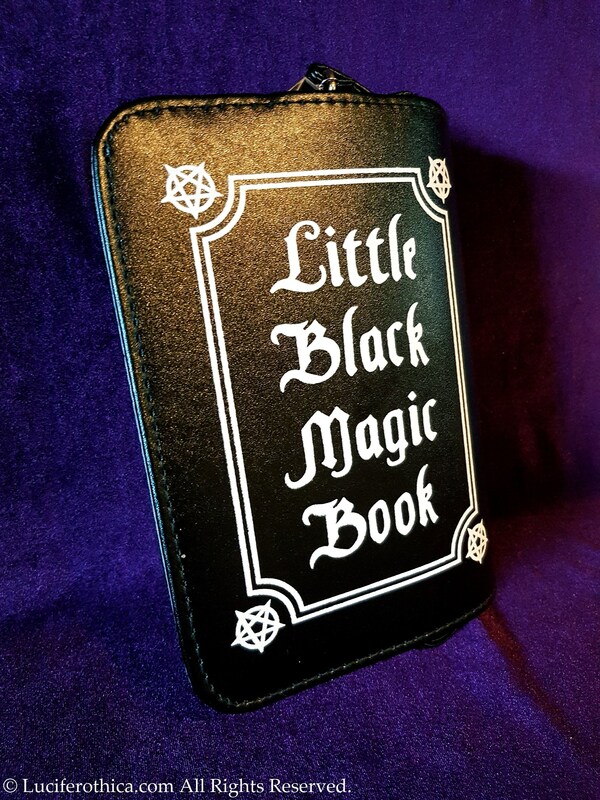 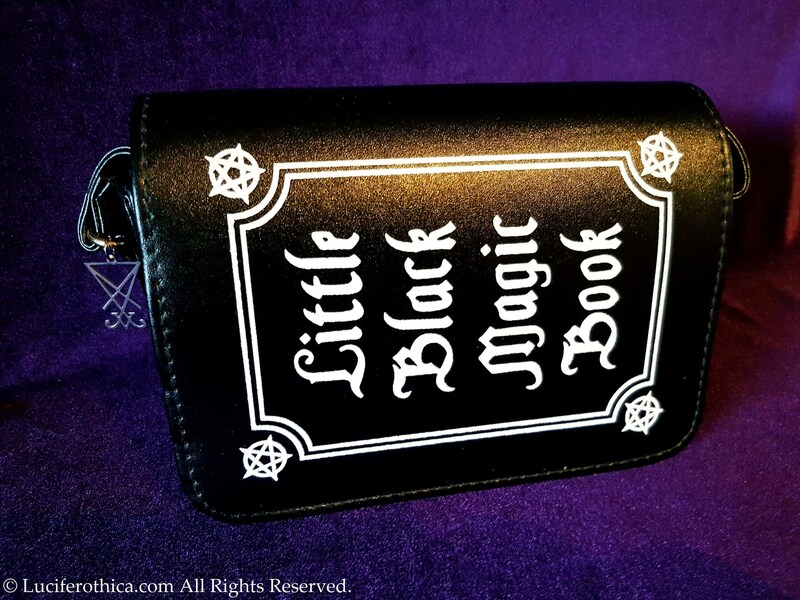 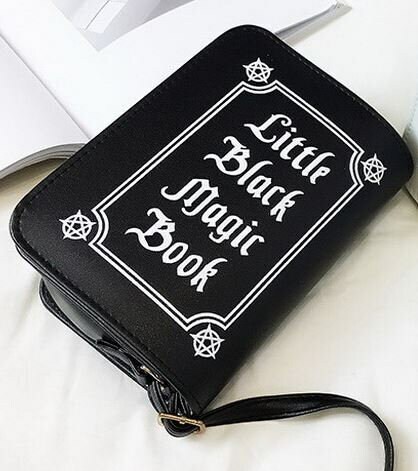 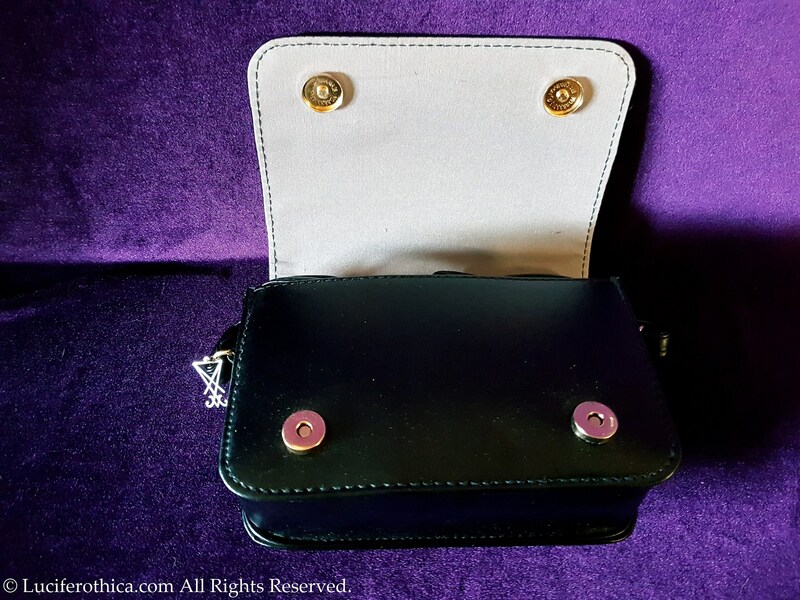 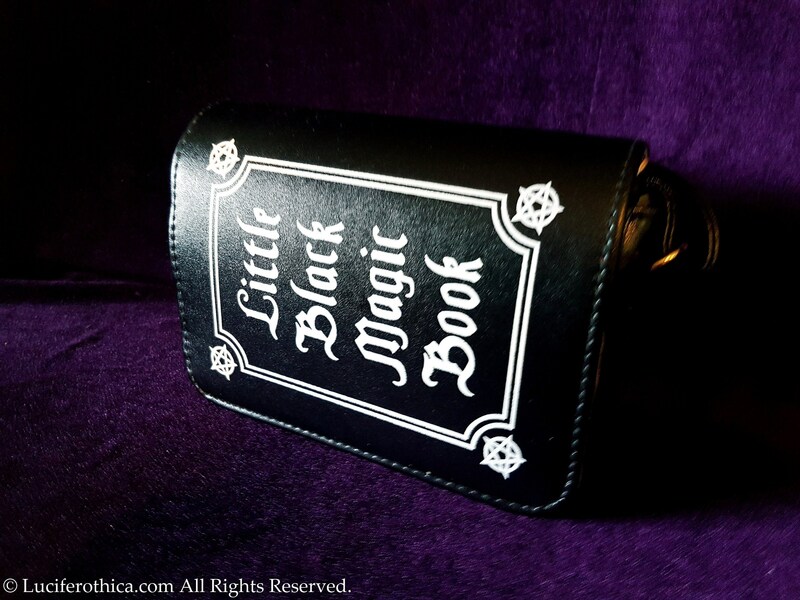 Little Black Magic Book - Handbag. 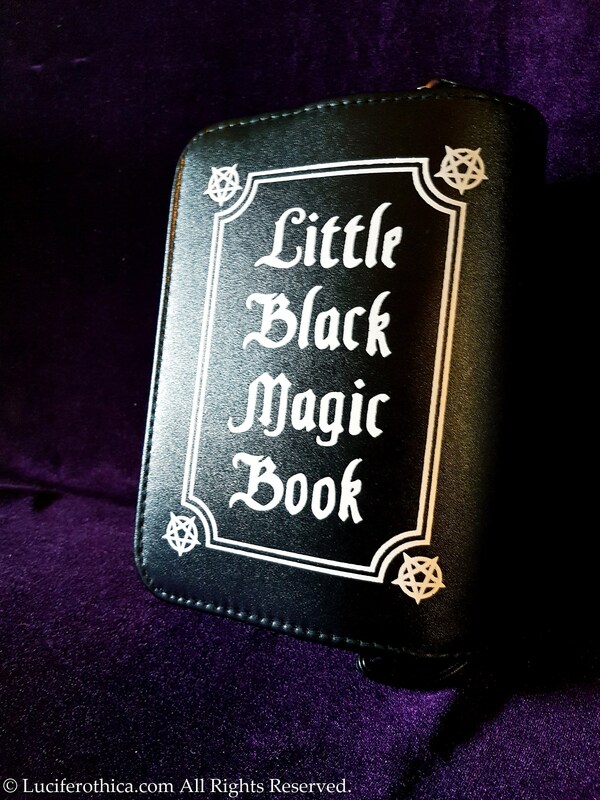 - One printed side with text: "Little Black Magic Book". 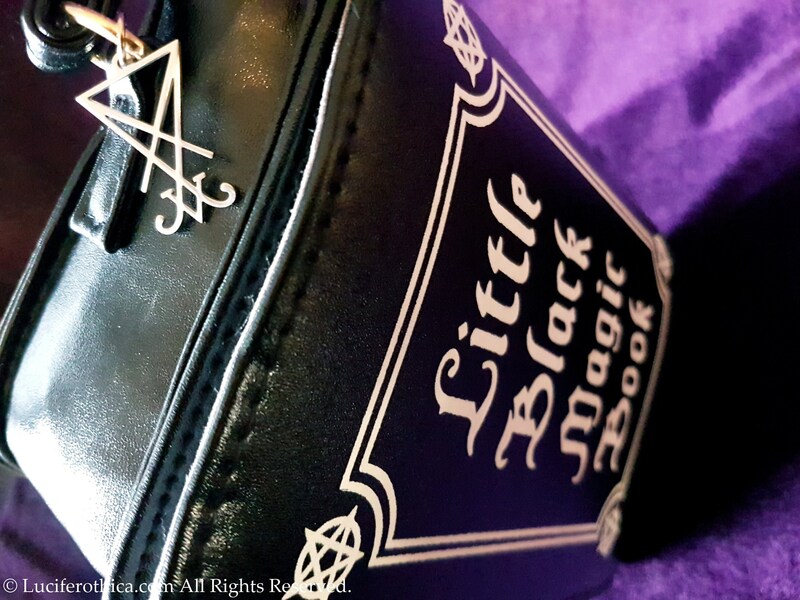 - Stainless steel Sigil of Lucifer attached to the side. 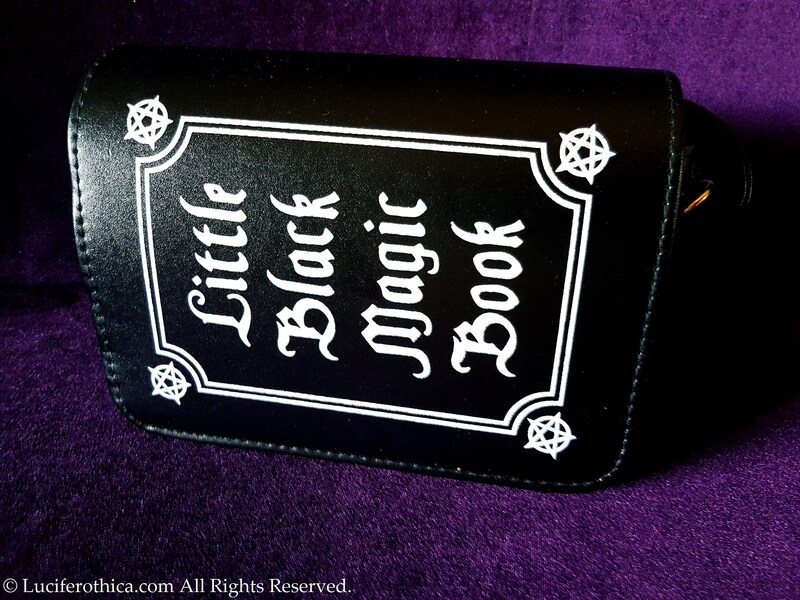 - Closes with 2 magnets. 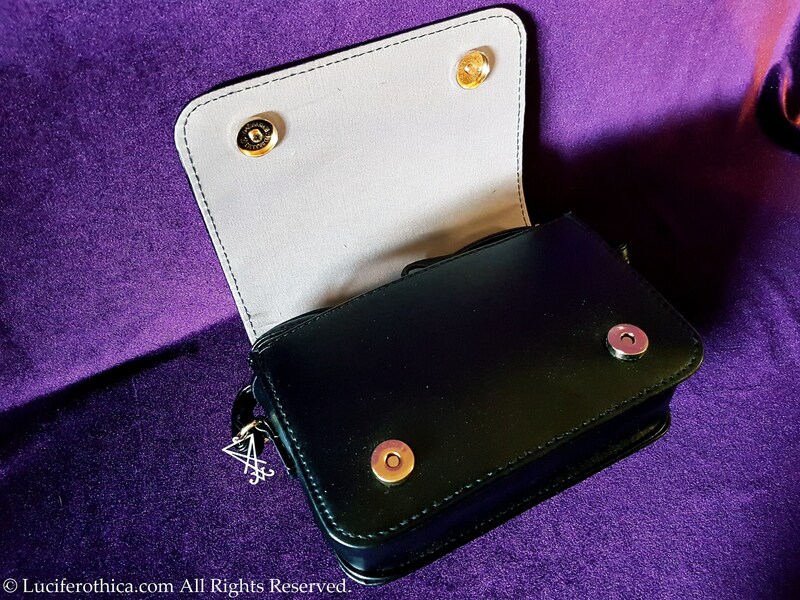 - Single strap to wear on your shoulder.